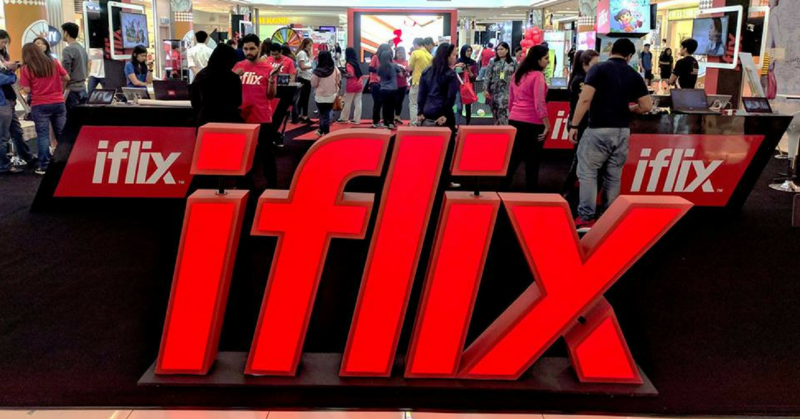 Two Netflix apprentices in Asia might be joining hands soon, as China’s iQiyi is said to be in talks with iflix for a potential investment in the latter, according to people familiar with the matter. The amount of the potential investment is not clear yet. iflix models itself on Netflix and targets its less expensive streaming services at Asia’s emerging economies. It has raised a total amount of US$298 million through four rounds of financing, and was potentially valued at more than US$700 million. The rumored new financing could help catapult it to the verge of tech unicorns, meaning tech companies valued at US$1 billion. China’s iQiyi, backed by Chinese search and AI company Baidu, is one of the largest online streaming services in its home market. The Beijing-based online streamer got listed on Nasdaq with a market capitalisation of US$13.7 billion. Though many deem iflix as Netflix’s competitor in Asia, the company’s co-founder and CEO, Mark Britt, didn’t appear to agree. “If Netflix is the iPhone of content streaming, our aspiration is to be the Android,” he once said. Patrick Grove, one of the company’s two co-founders echoed Britt in saying they don’t see Netflix as a competitor at all. Grove thinks iflix is hyper local in terms of content, price, language and distribution. They see Netflix as a first-world brand at a first-world price, whereas iflix’s price is usually $2 per month (a basic monthly subscription starts at RM10 in Malaysia), which is exactly the same price as a pirated DVD but with more than 10,000 hours of varied content available on a smartphone. The Kuala Lumpur-based streaming startup found its niche in pricing its service lower than Netflix and other local streaming video-on-demand rivals, making online streaming more affordable for the less affluent markets. Patrick wrapped up the company’s competitive edge in a five-pronged strategy, namely, focusing on the Android platform which usually has 80 percent market share; keeping prices low; charging customers via phone bills; making content relevant to each market as well as leveraging on local celebrities for word-of-mouth promotion, all of which cater more to the emerging economies. These tactics have helped it establish a presence in 24 countries and regions globally, most of which are emerging markets across Asia, the Middle East and Africa. As of last year-end, the service has accumulated a total of more than 6.5 million subscribers who streamed a cumulative 10 billion minutes of content on its platform in 2017. America’s Netflix, China’s iQiyi, and Southeast Asia’s iflix might differ in their market positioning and services offered, but there is one common ground: they are all producing original content. One of the drivers behind the shift from purchasing licensed content from studios to making one’s own, is the high and ever-rising cost of buying licensed third-party shows and programmes. iflix last year initiated its in-house content production plan, making local stand up comedy shows in Malaysia, Indonesia as well as the Philippines. Oi Jaga Mulut, a stand-up comedy series was first debuted in Malaysia. We have reached out to iflix for comments on the story. This article was written by Ben Jiang and first published on Kr ASIA with the title “China’s iQiyi in talks to invest in SEA streaming service iflix”.